Meeting People via WiFi and Bluetooth will contain an overview of how to track people using Wireless 802.11 Radio Frequencies (Wi-Fi) and Bluetooth 802.15 Radio Frequencies. 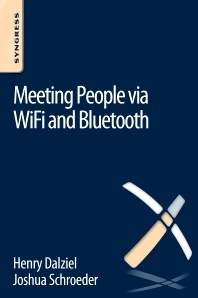 The content contained here came from research and materials originally presented at Defcon Wireless CTF Village in August 2015 entitled "Meeting People Via Wi-Fi". The book will go over the hardware and software needed in order to do this tracking, how to use these particular tools in order to do attribution, and tips for protecting yourself from being attributed via those signals. Henry Dalziel is a serial education entrepreneur, founder of Concise Ac Ltd, online cybersecurity blogger and e-book author. He writes for the Concise-Courses.com blog and has developed numerous cybersecurity continuing education courses and books. Concise Ac Ltd develops and distributes continuing education content [books and courses] for cybersecurity professionals seeking skill enhancement and career advancement. The company was recently accepted onto the UK Trade & Investment's (UKTI) Global Entrepreneur Programme (GEP).